Books at the Unfinished Obelisk Nubia Bookstore in Aswan! Two books on the shelf: “Ancient Egypt; An Artist’s Coloring Book” and the new one “Tutankhamun”!!! Photo taken by Trevor in Aswan at the Unfinished Obelisk Nubia Bookstore! Hanging Out With Trevor Naylor at Gaddis Bookshop in Luxor, Egypt! 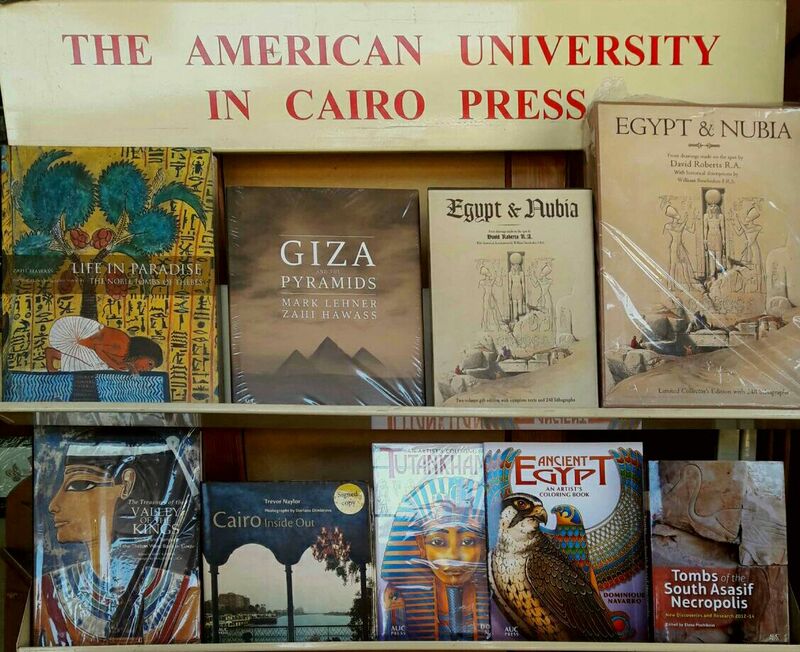 New Books at Ramses Coffee Shop by Medinet Habu Temple, Luxor!